Residents of major U.S. cities are becoming used to seeing docks for bike sharing programs nestled into parking spaces or next to subway station entrances. Adorned with stylish branding and corporate sponsors' logos, these facilities are transforming transportation in cities across the country. The newest twist in this rapid expansion is dockless bike sharing, which lets users park bikes anywhere within defined districts and lock and unlock their bikes with smartphone apps. Users don't have to locate docking stations or worry about whether space will be available at their destination. These systems also are cheaper to set up, so providers can charge lower user fees. 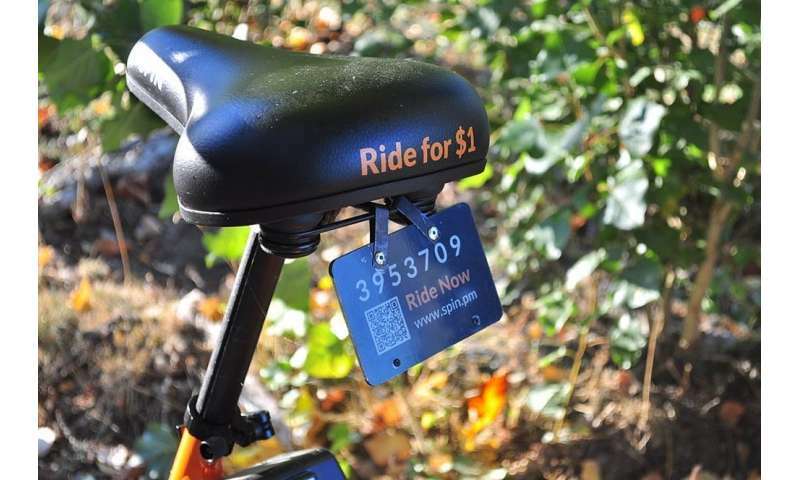 Some dockless bike-share companies offer rides for as little as US$1 for the first half hour. Dockless systems are also helping to address equity issues posed by public dock-based systems, which often are located in more affluent and predominantly white urban neighborhoods. Because dockless systems don't require stations, they can be rapidly deployed in zones that dock-based systems may be slow to reach. Seattle turned to dockless companies to fill the gap after a publicly funded dock bike-share system there failed in 2016. 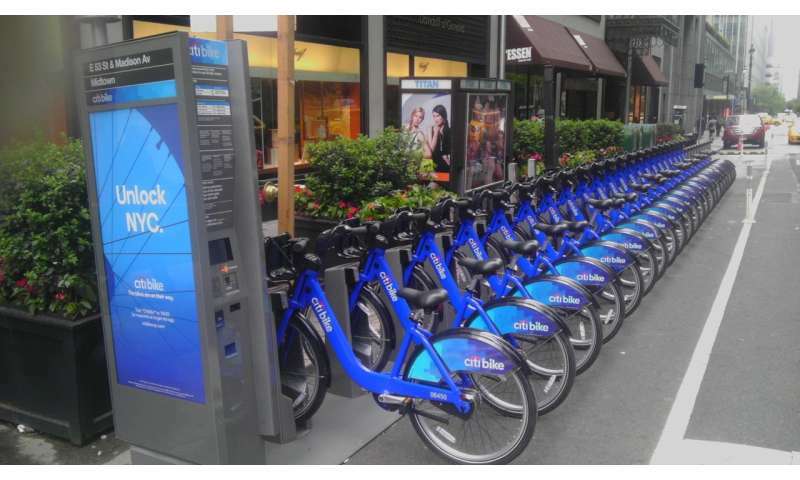 The city could soon have one of the largest bike-share systems in the country. Cities around Boston that are outside of the service area of Hubway, the area's public bike-share system, just reached a deal to provide dockless bike-share service, expanding access to hundreds of thousands of people. And in San Francisco, Uber recently purchased Jump Bikes, a dockless electric bike-share startup, and soon will allow users to reserve electric bikes with their Uber app.